Durable, colorful and filled with happy camping images, this dish set from Camp Casual is a classic favorite! 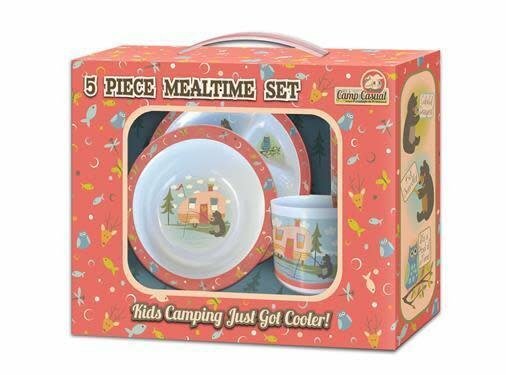 This 5 piece kid's dish set is perfect for your little camper on the go! Complete with a divided plate, fork, spoon, cup, and bowl, we're positive your mini Camp Casualer will love this! FDA approved, BPA free, top rack dishwasher safe, and 100% sturdy melamine.